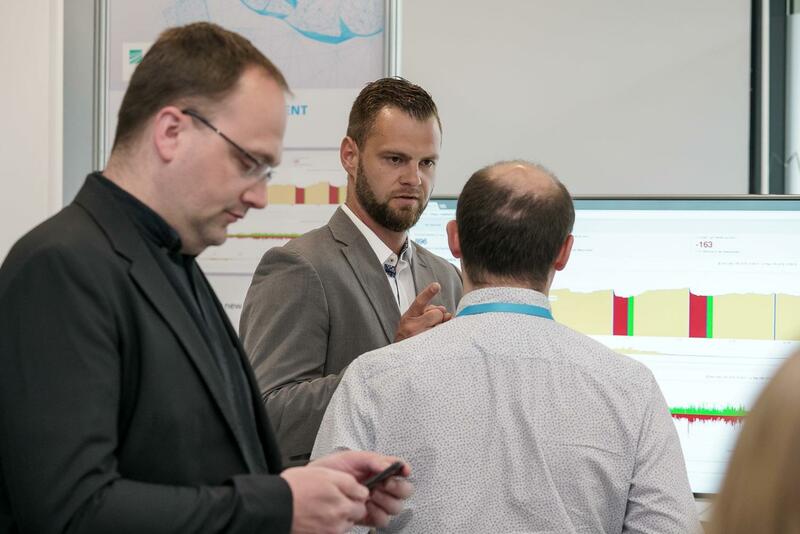 Fraunhofer FOKUS and Red Tech, a division of Red Bull have jointly created a HbbTV standard based broadcast measurement solution pioneering the evolution of broadcast measurement. Satisfying the demand for a digital and real-time solution to measure linear broadcast on an international level to gather and compare key performance indicators with those of the Over-the-Top (OTT) and digital distribution. The solution provides a HbbTV Tracking Framework enables broadcasters to measure their TV reach in real-time and with highest precision as well as giving them the ability to gain deep knowledge of their programs, viewing habits of their audience and to optimize strategic programming and advertising. Therefore, a TV research toolkit has been developed that offers comprehensive functionality to visualize, analyze and evaluate live and historic audience data. 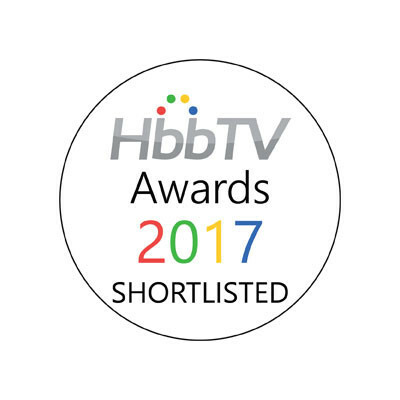 The solution has been shortlisted for the prestigious HbbTV Awards in the category “Best technology innovation in an HbbTV product or service” in 2017. To stay updated on the latest developments of HbbTV Broadcast Measurement and TV Research Tool and news of Fraunhofer FOKUS FAME, please subscribe to our newsletter. 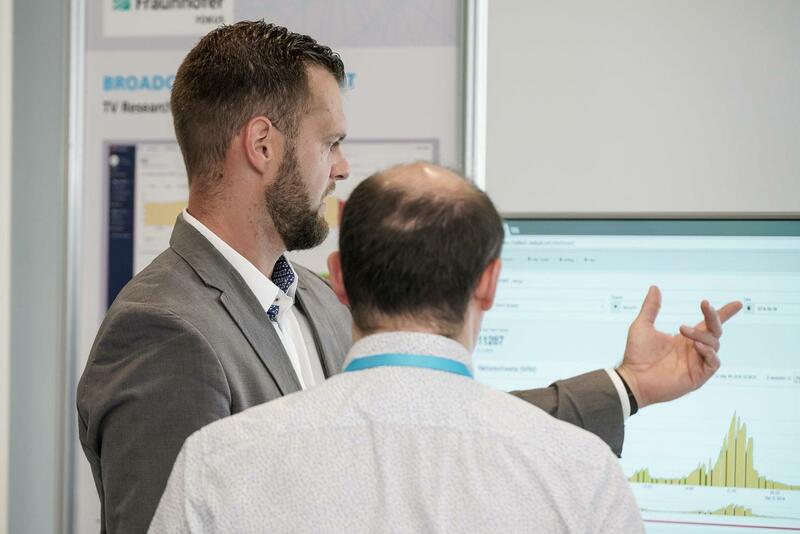 The broadcast measurement solution offers an HbbTV tracking framework based on the HbbTV standard to measure TV usage of all connected HbbTV devices in real-time. The tracking framework integrates easily into existing HbbTV applications or can be introduced as a new HbbTV application being launched via the channel application information table (AIT). All tracking data is available in real-time and accessible via the web based HbbTV Research Toolkit. Additionally, a HbbTV-based overlay app can be used to monitor the live performance of the channel within the broadcasters linear TV program. The HbbTV Research Toolkit offers customizable visualizations for live and historical data, report templates, automatized reports, interfaces for editors and non-research specialists to easily review the performance of their program as well as an extensive research environment for professional TV and media researchers. To give an example, we are able to measure and differentiate between particular parts of a single program or show exact to the second. This allows our researchers to evaluate our program and single program parts like introductions, trailers, ads and inserts more precisely. They derive recommendations from the available data to improve the program. 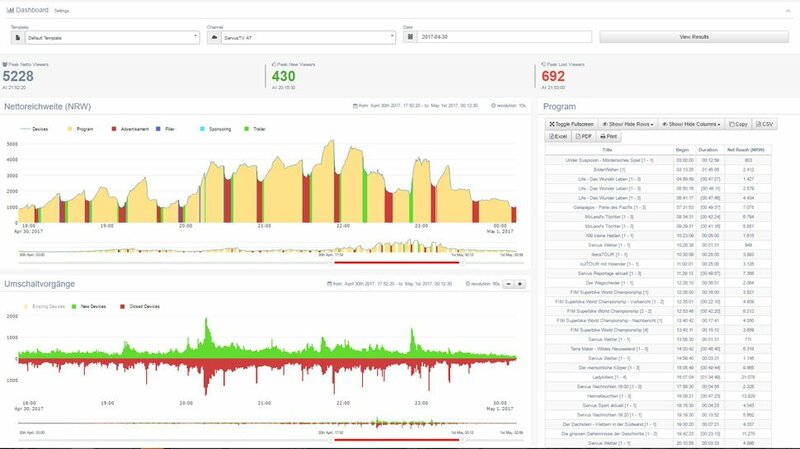 As a well adopted, worldwide deployed and broadcaster driven TV standard, HbbTV provides all the required techniques and capabilities to collect and measure real-time TV device data with the required precision and technical reach. Our HbbTV Tracking solution is designed as a cloud-based, flexible and highly scalable solution. The tracking and analytics infrastructure is able to dynamically grow with the demand generated by joining broadcasters and connected TV devices. Furthermore, the automatic scaling of the system ensures efficiency and future-proofness in terms of economic and operational aspects. Especially for smaller TV channels and in audience weak slots (daytime, night) it is challenging to derive precise audience data from traditional household panels, which are often too small in their size. Based on the increasing market penetration of HbbTV enabled devices our solution provides precise data even for smaller TV channels. The unique features of this HbbTV product have been tested with the TV station in Austria, ServusTV (market share: 2%). ServusTV is now able to evaluate its program 24/7 in real-time based on a clearly higher number of cases. 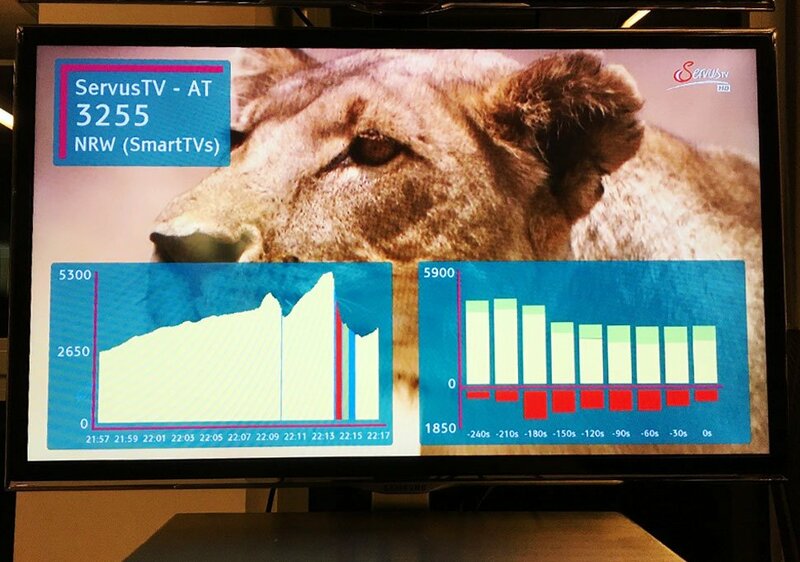 This precise HbbTV-data of various available applications enables us to identify potentials to improve the program: e.g. adaption of live shows during the airing based on the live data (e.g. position of commercial breaks and length of program elements), revision of the choice and placement of programs based on viewer habits visible in the HbbTV data, reflection of outliers within the data of the original panel, creation of user-groups. All this data helped ServusTV to increase the performance and consequently the market share in the past months significantly. 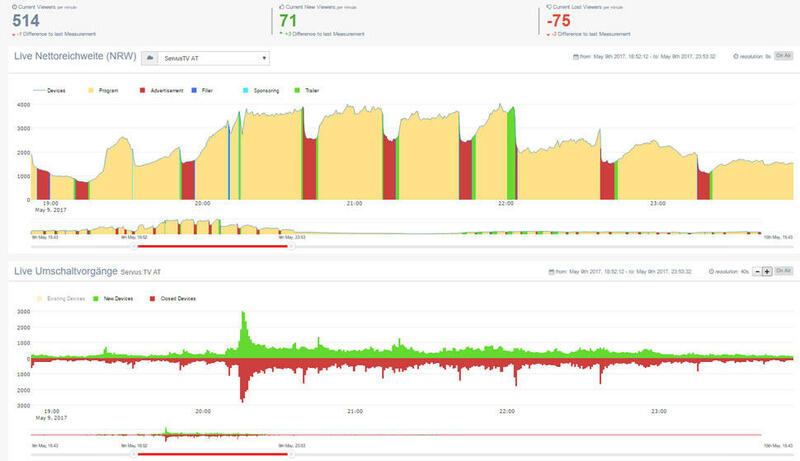 Because our measurement is real-time and live, it is the enabler for programmatic advertising in linear broadcast to take the ad-decision just in time at the playout based on the connected TV devices at the precise moment.